With many hours of community service and a passionate speech about the impact her mother has had on her life, Madisen Wallace, 17, was crowned the 2017 Miss Lassen County. After taking into consideration the community service, scholastic achievements, personality, communication skills, talents and impromptu questioning and poise of the seven girls vying for the Miss Lassen County title, Wallace nabbed the crown, with Kassie Sandborg as Ambassadress of Susanville and Madee Cluck as Princess. 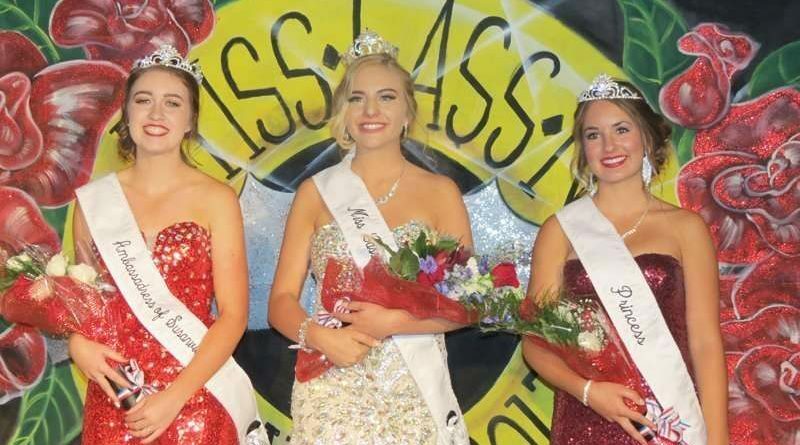 Other contestants included Tatum Thomas, Devyn Stamback, Emmalee Lott and Taylor Shannon Since summer began, the seven contestants have been preparing for the 49th annual Miss Lassen County Pageant. From learning the dance routine to the Born in the USA theme, which featured well-known and loved classic rock tunes, public speaking and poise. Along with the title, Wallace received a $1,000 scholarship, donated by Beauty Corral, Billington Ace Hardware, Lassen Association of Realtors and contestants sponsors, one dozen roses from Milwood Florist and a crown from Headquarters Salon. Ambassadress Sandborg won a $300 scholarship, a tiara and half a dozen roses and Princess Cluck received a $200 scholarship, tiara and half a dozen roses. Most Talented, with a $100 cash award from Sierra Theater and Uptown Cinemas was awarded to Wallace, who also earned the Community Service $100 cash award donated by Headquarters Salon. Cluck earned the most photogenic award, which came with a $100 cash award donated by Change Takes Place. Thomas nabbed the Miss Congeniality award, which was accompanied with a $100 cash award donated by Morning Glory Dairy. As a part of the pageant, each contestant was required to show of one of their talents. Kicking off with a song, Thomas entertained the crowd with her rendition of “Dirty Laundry.” Cluck showed off her public speaking skills while talking about the importance of community and Stamback recited an original poem, “Boxes.” Lott exhibited her pianoplaying skills with the song “Requiem for a Dream,” and Sandborg performed “The Climb” in sign language. Additionally, Shannon played the ukulele for the audience and Wallace wrapped up the talent portion speaking from the heart on how much her mother means to her. During the event, dance performances from the House of Dance advanced hip-hop class; JandJ Performing Arts junior competition team and the Susanville City Kickettes entertained the crowd. 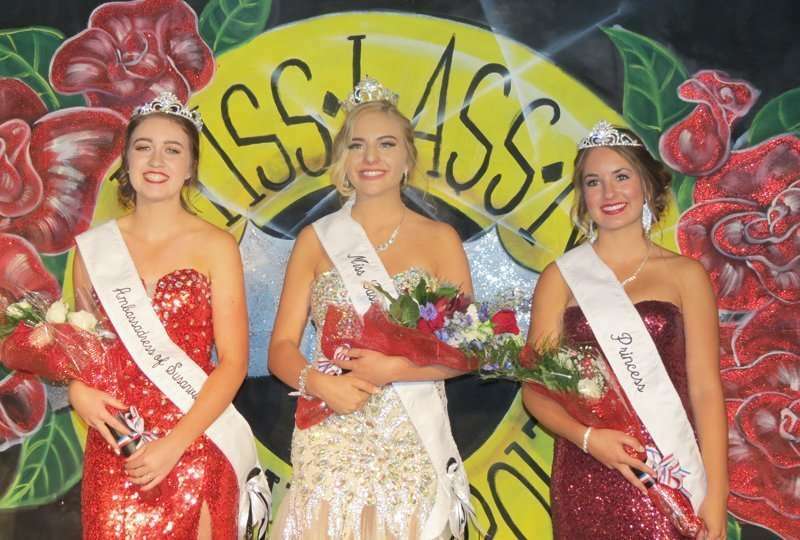 With the conclusion of the event and the crowning of the new Miss Lassen County and her court, the beginning of the Lassen County Fair was officially signaled as the new winners began their year of community service and appearances.